Peta-Gaye and her team catered a birthday party for 30 at my home recently and no detail was overlooked. The food was amazing and the beautiful cake was delicious. She and her team were so professional but left feeling like family. She made everything look so beautiful and had a smile for everyone the entire evening. I will definitely use her services for any event I have in the future. We hosted a holiday party for around 60 people in our home last night for about the 6th year running, but this is the first time we had it catered, and I only wish I'd discovered this pathway sooner! I opted for Peta-Gaye's Kitchen after attending a party that she'd catered earlier in the season, and I was more than pleased with the food and service she provided. First of all, her website shows the food options in a very user-friendly way, with plenty of choices that have an interesting twist rather than the same-old-ho-drum-dishes. There are photos of almost everything, and references to potential modifications that she offers. When I gave Peta-Gaye the list of items I planned to order, she worked with me on the quantities, and made a few suggestions to vary the dishes. We have quite a few vegetarian friends, and she was able to provide an excellent variety to accommodate them, and even modified the pesto sauce on one of her dishes to accommodate a guest with nut allergies. She delivered the food right on time, and provided us with chafing dishes to keep dishes hot and cold. 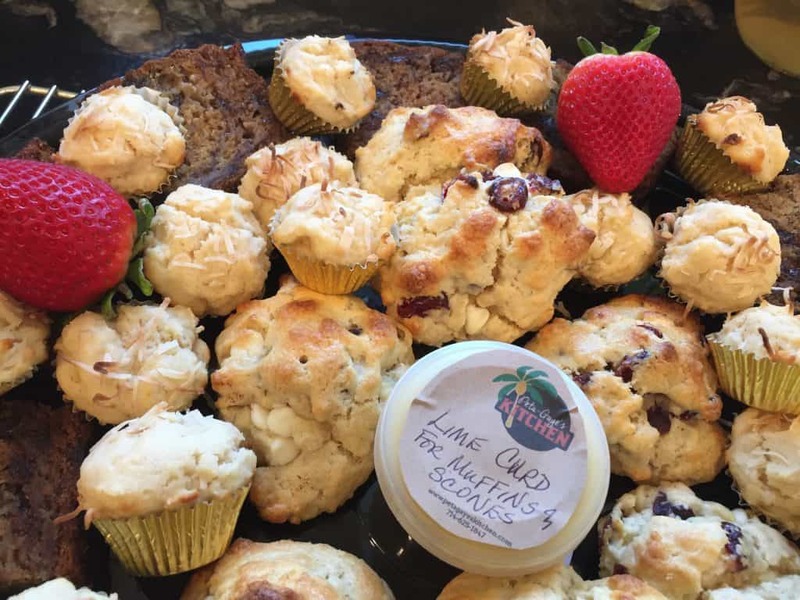 Thank you Peta-Gaye's Kitchen for helping to make the Belmont Heights Artists' Association 2017 Opening Reception an elegant affair. Your appetizers were beautiful and tasty. We ate it all, nothing left. Peta-Gaye created an amazing summer afternoon luncheon for our granddaughter's baptism and birthday! The food was absolutely delicious and the presentation was stunning. We received rave reviews from our guests. Thank you Peta-Gaye! We would highly recommend Peta-Gaye. She is very thorough and makes sure all details are covered. In fact, she set up a time to see how the party was going to be set up so she could plan her food accordingly. Peta-Gaye's dishes and desserts are excellent especially her chicken salad endive leaves, Mac and cheese , berry tiramisu and chocolate malted cookies. Yum! Went to a luncheon where Peta-Gaye's Kitchen catered and food was amazing. She arrived on time, everything was set up beautifully and the food was delicious. I've been to a lot of catered events and sometimes good and sometimes not so good. Peta-Gaye's was the best! I highly recommend her and her company.